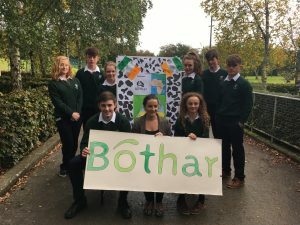 On the 10th of October Aisling Fleming came to our school to talk to Transition Year students about the work of Bothar. The Transition Year students are currently in the process of sending an in calf heifer to Rwanda through Bothar. She talked to them about how the in calf heifer is sent out and what it is used for.